What’s decidable about parametric timed automata? Parametric timed automata (PTAs) are a powerful formalism to reason, simulate and formally verify critical real-time systems. After 25 years of research on PTAs, it is now well understood that any non-trivial problem studied is undecidable for general PTAs. We provide here a survey of decision and computation problems for PTAs. On the one hand, bounding time, bounding the number of parameters or the domain of the parameters does not (in general) lead to any decidability. On the other hand, restricting the number of clocks, the use of clocks (compared or not with the parameters), and the use of parameters (e. g., used only as upper or lower bounds) leads to decidability of some problems. We also put emphasis on open problems. We also discuss formalisms close to parametric timed automata (such as parametric hybrid automata or parametric interrupt timed automata), and we study tools dedicated to PTAs and their extensions. This work is partially supported by the ANR national research program PACS (ANR-14-CE28-0002). 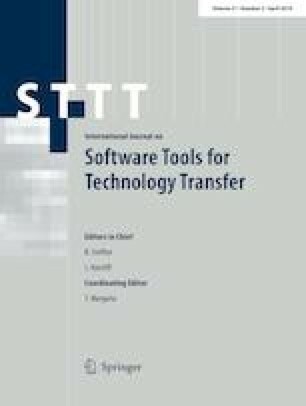 This manuscript benefited from discussions with Didier Lime, Nicolas Markey, and Olivier H. Roux, as well as from the useful comments and suggestions of all three anonymous reviewers.